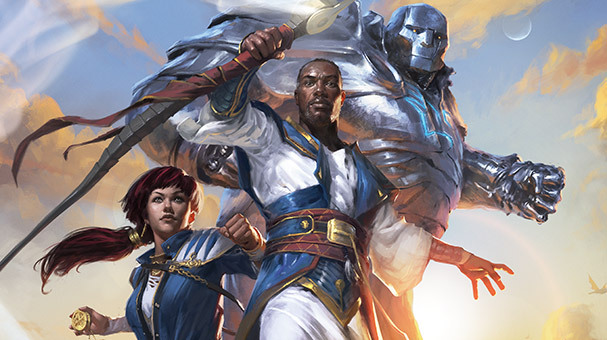 At Wizards, everything starts with legendary stories, striking art, and innovative game play. With over 20 million fans worldwide, Magic is the world’s most popular strategy card game. Throughout the course of a match, players will cast devastating spells, summon creatures of legend, and wield powerful artifacts to best their opponents in a battle of wits. Since 1974, Dungeons & Dragons has influenced numerous writers, directors, and game designers by tapping into the innate human need to gather with your friends and tell an exciting story together. COLLECT! BUILD! BATTLE! The TRANSFORMERS Trading Card Game is a fast, action battling card game designed for two players. Build a team of Transformers Character Cards and a deck of Battle Cards, and then jump right into battle! Most TRANSFORMERS Character Cards can be flipped from bot mode to alt mode and back – and one side of each Character Card features premium printing treatment. Produced exclusively in Japanese, Duel Masters is Japan’s number 1 kids' trading card game, with awe-inducing creatures, innovative products, and a manga/anime franchise that amplifies the game's dramatic and fast-paced play. A pioneer of modern war and cooperative strategy games, Avalon Hill has been bringing generations of gamers together through a shared love of strategy, collaboration, and history-making for nearly six decades. With nearly 6,000 retailer members worldwide, the Wizards Play Network provides resources and access to events like Friday Night Magic to enrolled retail locations who sell our games.